Designer Lisa deBee Schiller presents a beautiful holiday collection with Yuletide Memories. 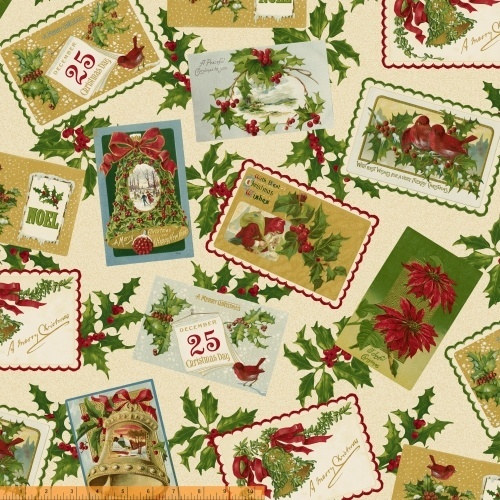 A main pattern drawn from vintage holiday postcards lends a nostalgic air to this group. With all the coordinates you could need including large holly leaves, diagonal stripes, dots and tonals,this collection will be sure to warm your hearth and home---providing yuletide memories for years to come. 16 Total SKUs - Delivery to stores: June 2015.